The Rosemont Cemetery is a community based non-denominational burial ground proud to have served local families in Hunterdon County for nearly 300 years. Steeped in history and tradition, this 12-acre cemetery is surrounded by beautiful farmlands and provides a quiet and peaceful setting for families and friends. The Rosemont Cemetery Association is made up of a group of volunteers who serve on its Board of Directors and are charged with caring for the Cemetery and ensuring its longevity in the community. The Association is committed to preserving and enhancing the Cemetery's natural beauty and heritage while maintaining a historical record of the people buried within its walls for hundreds of years. The staff at the Rosemont Cemetery take great pride in keeping the grounds well maintained and providing excellent, caring service to all families who choose to place their loved ones within its walls. We recognize that the practice of burial is unique to each family and therefore provide several end of life options. Rosemont Cemetery, located on 12 acres in scenic Hunterdon County, N.J., is an historic, but fully operational cemetery. The Cemetery, which is rich in local history, was established nearly 300 years ago in 1729 when George Fox, newly arrived from England, set aside a portion of his property for the burial of his faithful servant. 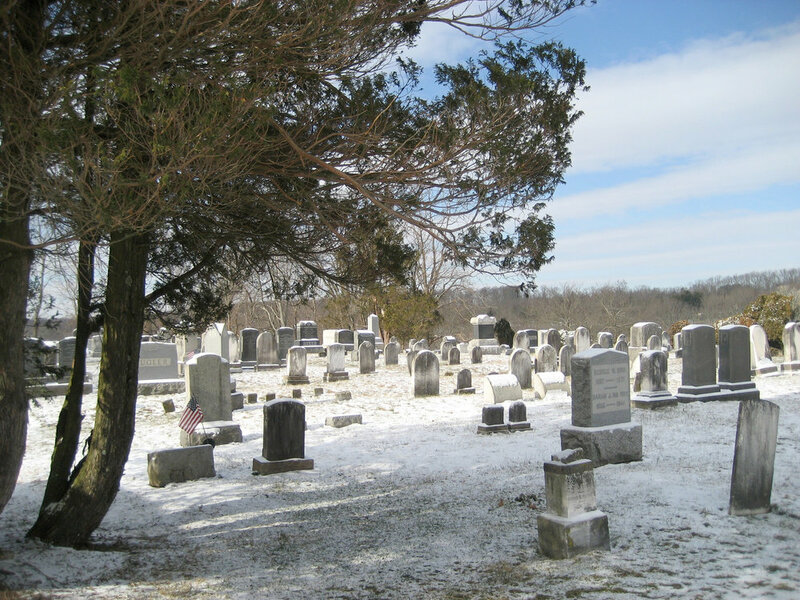 Since that time, the Cemetery has acquired several tracts of adjacent acreage from various landowners and farmers who called Rosemont, N.J. home, and has remained independent of any church affiliation. Names on some of its oldest tombstones continue to be the names of local families who have remained in this idyllic and historic hamlet and surrounding towns for hundreds of years. The Rosemont Cemetery Association considers it a privilege and an honor to be granted stewardship over such a lovely tract of land that has served, and continues to serve, so many in its community. In addition to its locally well-known families, Rosemont Cemetery is home to several politicians, including U.S. Congressman John Runk who served in the House of Representatives from 1845 to 1847, and even a famous radio performer, Anne Matthews, who played the role of Stella Dallas on the popular 1930's radio show. Perhaps most importantly, the Rosemont Cemetery Association is home to many of our nation's war heroes. With veterans of the Revolutionary War to veterans of our most recent wars, their graves are marked with American flags as a symbol of their dedication to our country. Perhaps the most famous of these veterans buried within our walls is Captain Daniel Bray, who, during the Revolutionary War, played a pivotal role in changing the tide of the Battle of Trenton, allowing General Washington's troops to cross the Delaware River on Christmas 1776 unchallenged. Captain Daniel Bray's grave is marked with a special plaque commemorating his service to our region and to our country. The Cemetery itself has changed little over its 300 year history. It has expanded slowly with the acquisition of surrounding acreage, added a stone wall enclosure in 1835, paved its roadways and erected two buildings, an office/maintenance shed and a working outhouse. Most recently, the Cemetery Association added the Rosemont Memorial Garden and Natural Burial area to meet the growing demands of an environmentally conscious community. As time passes, the record books of the Rosemont Cemetery provide a look into the people that shaped and molded the surrounding area into what is so special today.